Ramsay was a great character and to me was 100 percent evil. 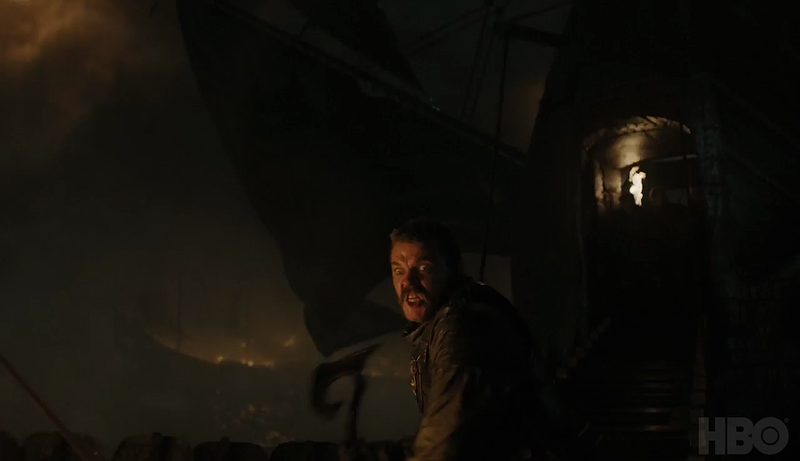 I think Euron is not. I’m more like a hooligan. The guy you met at the Kingsmoot is not the guy you will meet on his ship — he’s different with different people to get what he wants. Getting what he wants in this instance will likely mean abandoning his designs on Daenerys in favor of an alliance with Cersei, but will Euron succeed in providing Season 7’s menace? Watch the trailers below, and stay tuned.